Anacostia Community Museum in Washington, D.C. The Anacostia Community Museum grew out of an idea that was first discussed at a conference on museums and education sponsored by the Smithsonian in August 1966. Soon thereafter, Smithsonian Secretary S. Dillon Ripley formed a committee to plan "an experimental store-front museum" in a Washington, DC, neighborhood. Ripley’s original goal for the museum was to reach out to an African-American community in Washington, DC, to encourage them to visit Smithsonian museums on the National Mall. 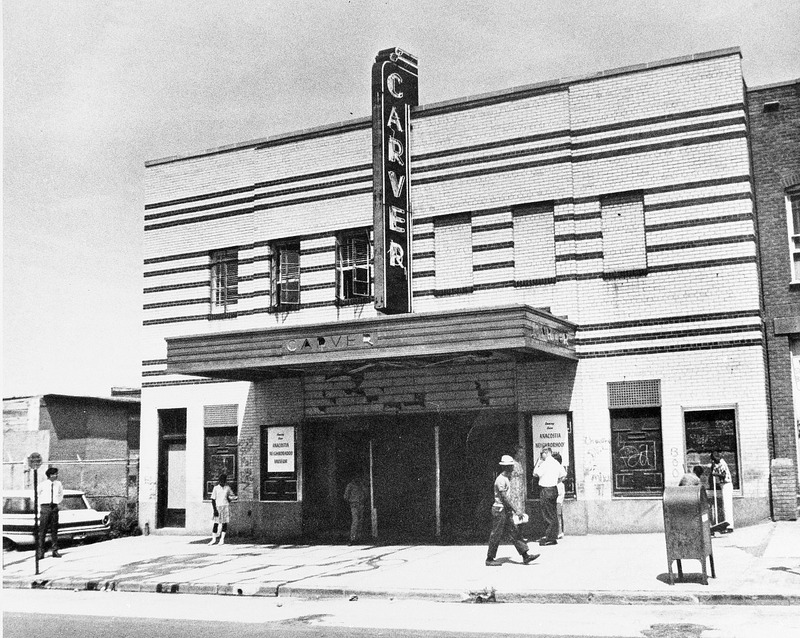 In March 1967, the Smithsonian secured the Carver Theater on Martin Luther King Jr. Avenue, Southeast, in Anacostia as the site for the project. Anacostia community leaders formed an advisory council to guide the venture and build local support. 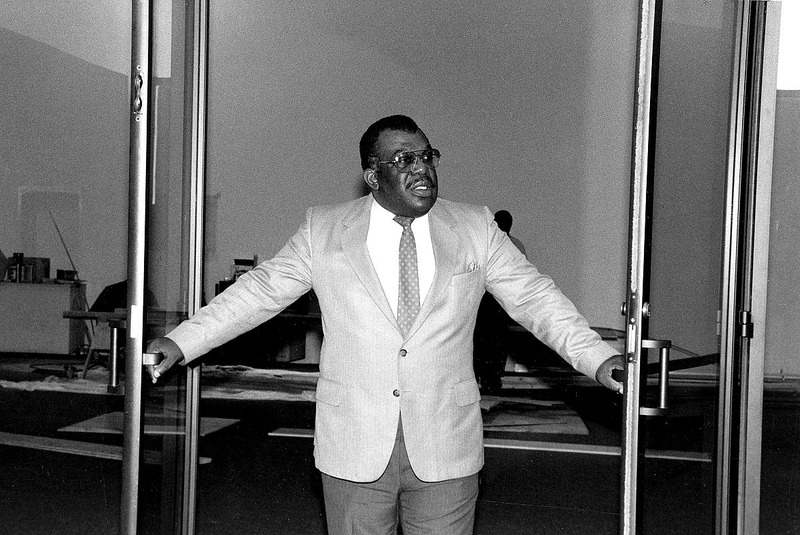 In June 1967, the Institution appointed civil rights activist, educator, and minister, John R. Kinard, as director of the museum, a position he held until his death in 1989. Kinard was especially interested in involving the youth of the area in developing the new museum. Smithsonian staff cooperated with local citizens to convert the theater into an exhibition space, and to select objects for display. 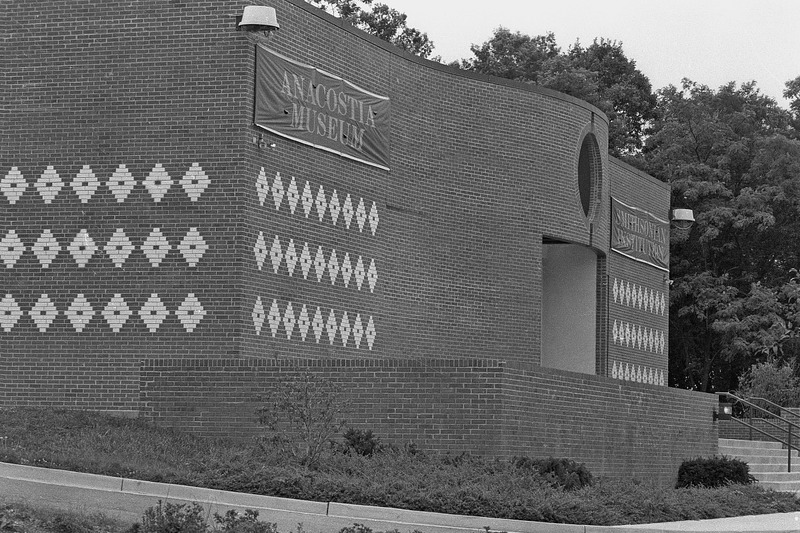 The theater was renamed the Anacostia Neighborhood Museum, and opened to the public on September 15, 1967. The museum relied largely on special grants for support until 1970, when it became a line item in the Institution's federal budget. Early exhibits such as the 1969 exhibition The Rat: Man’s Invited Affliction, which explored rodent infestation, reflected the interests of an urban neighborhood battling an increasing problem. The Rat exhibit traveled across the United States, and led to a television documentary on the topic. 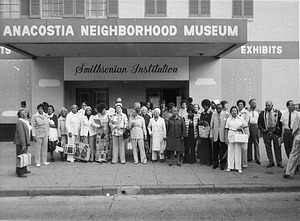 The Anacostia Story exhibition in 1977 presented the history of the Museum’s community from 1608 to 1930. The museum also established an archives to document the communities east of the Anacostia River. 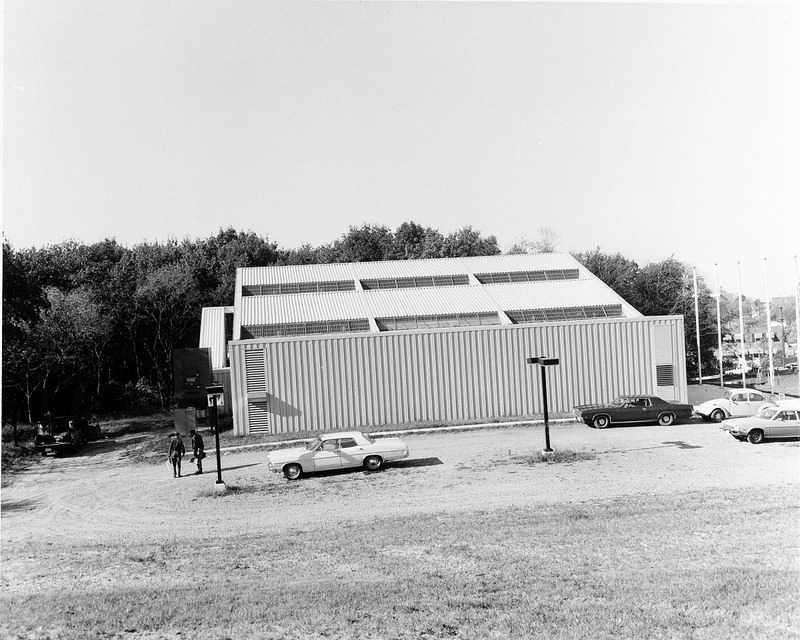 In October 1974, the exhibit branch of the museum moved into the new Exhibits Design and Production Laboratory in Fort Stanton Park. This facility served as the core for a larger museum building that was completed in 1987. The new structure, located at 1901 Fort Place, Southeast, Washington, DC, was large enough to accommodate all the functions of the museum in one location for the first time. Designed by Keyes Condon Florance, Architrave, and Wisnewski Blair Associates in the cultural expressionism style, the museum takes advantage of its park-like setting with large picture windows at the entrance and side galleries. Concrete cylinders punctured with glass blocks and blue tile surround the entryway, designed to evoke the conical towers of the 11th century city of Great Zimbabwe, the largest complex of ruins in Africa. The red brick building uses African motifs suggestive of woven kente cloth. The museum implemented an acquisition program in 1977, and first used original artifacts in the 1979 exhibition Out of Africa: From West African Kingdoms to Colonization. Other exhibitions have examined such subjects as urban problems, the history of Anacostia, African American art and heritage, and African culture. 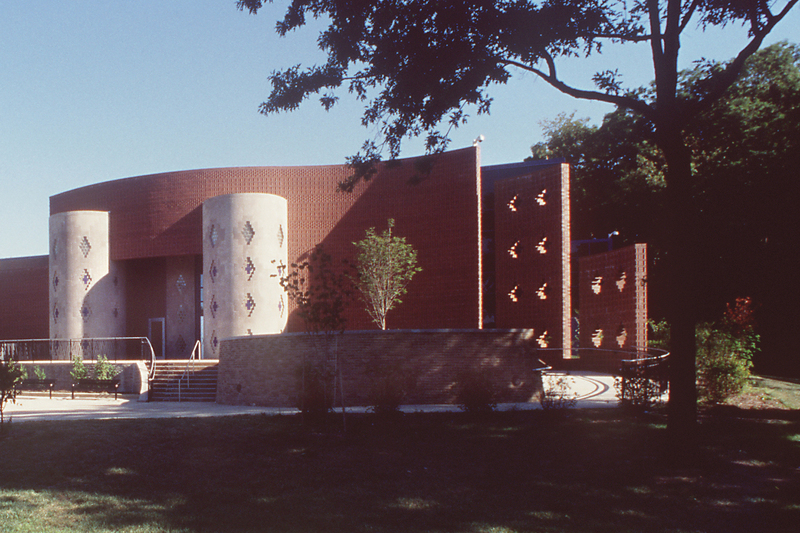 In April 1987, the museum changed its name to the Anacostia Museum to reflect the museum's increased mandate to examine, preserve, and interpret African American history and culture, not only locally and regionally, but nationally and internationally as well. The museum’s focus on education led to the creation of the Museum Academy Program, which works with local school children both during the school year and the summer. In 1995, the museum was renamed Anacostia Museum and Center for African American History and Culture, and served as a planning site for the new Smithsonian National Museum of African American History and Culture, which was established in 2003. The museum then returned its focus to the life and history of communities east of the Anacostia River and was renamed the Anacostia Community Museum in 2006.